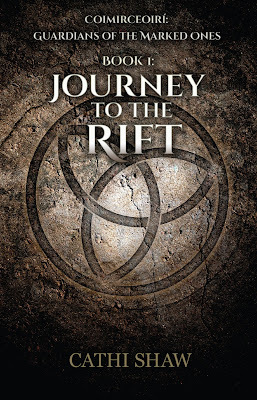 Journey to the Rift by Cathi Shaw Book Blitz and Giveaway! 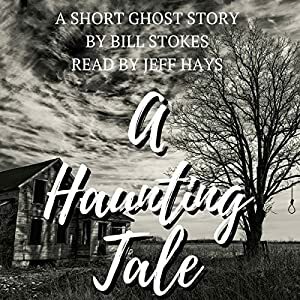 Audiobook Review: A Haunting Tale by Bill Stokes! There is a haunted house up there that squats like a huge wooden toad behind a thick grove of pine trees on the end of a dead end road. Maybe once it was painted, but now it has a gray cadaver-like complexion, and its siding is sagged and splintered as if the devil had been poking at it with his pitchfork. Its windows are streaked and stained, and trying to see through them from the outside is like trying to look a skull in the eye. If this doesn't get you to believe in the supernatural, listen to the rest of this short story and you will believe; just like I did! Warning: Don't listen to this story if you have a weak heart or are subject to night terrors or nightmares! Bill Stokes richly tells the tale of the haunted house in vivid and almost poetic words; you cannot help but be sucked in. Listen if you dare! I don't read many short stories as they can feel too rushed, or not enough development in the story. Yet this one, being at only a mere 11 mins in length, doesn't come across like this. This tells the tale of a man who doesn't believe in Ghosts. He knows the story of the abandoned house but decides to prove everyone wrong and spends a night there. What happens to him? Well read it and see!! I have to applaud the author of this because for such an extremely short story, it's extremely well written. The author's descriptive writing really packs a punch and brings the book alive. He very eloquently describes the house and makes it incredibly creepy when the man goes in. This is a tale suitable for all ages and one to be enjoyed again and again. Jeff Hays is a very strong narrator. Every book I've listened to that he narrated, has always been a pleasure to listen to. He is always clear and concise and knows how to tell a good story. Here he brings the creepy atmosphere to life makes the story more enjoyable. The Dragon's Gate by Barry Wolverton Blog Tour and Giveaway! 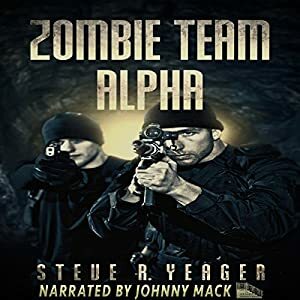 Audiobook Review: Zombie Team Alpha by Steve R. Yeager! Deep in the mines of Russia, a mysterious artifact was unearthed. Those who came in contact with it, become infected with something terrifying! While the outbreak is contained to the remote place for the time being, their are certain people who would love to get their hands on this artifact. So they hire an elite team of recovery and security specialists to retrieve the item. Jack Cutter and his team had already attempted to retrieve a similar thing before but things went horribly wrong and Jack lost someone close to him. Will this mission be a success or will the outbreak spread before they can retrieve the only thing that can help? I was pleasantly surprised with how much I enjoyed this! 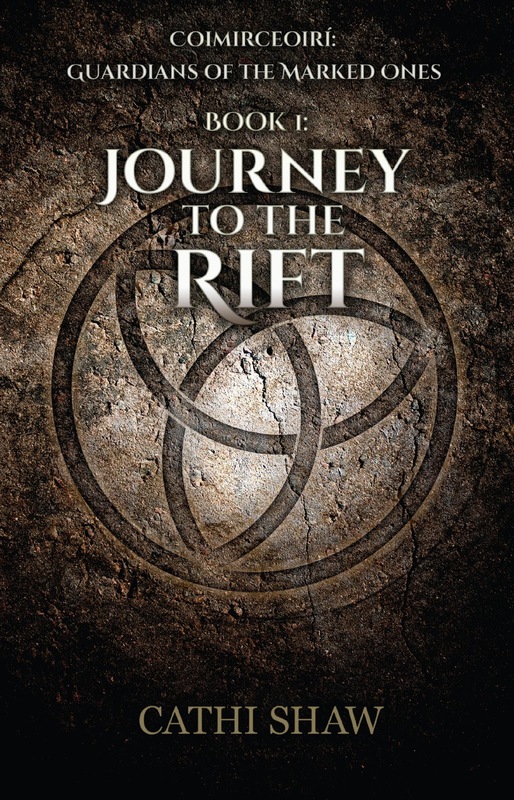 The book starts with seeing the miners find the artifact and from the second they touch it, they are infected. It was a very novel and unique way for the outbreak to begin. I also liked how the book wasn't really focused too much on the Zombies, but on the groups struggle to get the artifact. The plot was well written and fast paced and moved along steadily. Character wise, Jack was a strong main character. He is deeply affected after they attempted to retrieve the first artifact and he lost someone he loved, but with a pay out of 4 million dollars, he can't turn it down, and he reasons that since they know what to expect, they won't make the same mistakes again. All the characters well written and developed and easily likable. In all, this was a fast paced and engaging read. It's a unique and enjoyable take on the Zombie outbreak and I can't wait to see more from this world and these characters. Johnny Mack did a really good job bringing this to life. He had a different variety of tones and knew when to ramp up the tension when needed. 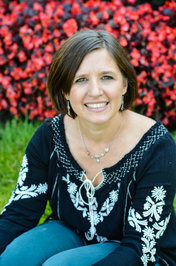 Halfway Bitten by Terry Maggert Audiobook Tour and Giveaway! So Carlie is back and as sassy as ever!! In this one, a circus comes to town and body count starts to rise! Could the two be connected? Well, that's something Carlie, Gran and Wulfric have to find out! Along the way they encounter vampires, ghosts, shifters and did I mention... clowns!!! Out of all the bad, I still think clowns are the worst!!! Ugh! Carlie is such an amazing character! She is strong, sassy and snarky, all of which make her a strong and likable lead. I love how she is so sure of herself and her abilities. She knows what she has to do and isn't afraid to do it! I also love her relationship with Gran. She respects and looks up to her. They do so well as a team. One thing I love about these books is the characters! They are all extremely well written and developed, and I love that the author isn't afraid to make such strong female heroines! Wulfric may be there, but he doesn't hold a candle to Carlie or Gran! In all, a great second book and one I thoroughly enjoyed. I can't wait to see what's next for our two leading ladies, and what happens to Wulfric!! Bring on book 3!! Erin Spencer makes for a brilliant Carlie. She brings across her spirit and sassiness perfectly! She also makes for an awesome Gran!! She was easy to listen to and read the book great. I hope she is narrating book 3. 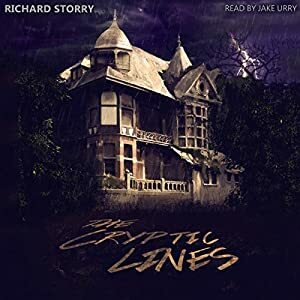 Audiobook Review: The Cryptic Lines by Richard Storry! Lord Alfred Willoughby is dying! He has written multiple wills but with the way his son Matthew is, he decides to write on last one. In it he stipulates that he will leave his faithful Butler 5 million, and the rest of his sizable fortune would be left to either of two contenders. But, nothing is ever easy and Lord Alfred sets a treasure hunt in place. The first to solve the clues and find a certain object, will inherit everything. All they have to do is solve The Cryptic Lines! I absolutely flew through this suspenseful mystery! The authors descriptive writing really brought the scenery and atmosphere to life. You could just imagine the big sprawling manor house that they are searching, as well as the amazing land it's on! I also loved the whole treasure hunt and mysterious clues thing. It was awesome figuring things out along with the characters and trying to see was I right! You think you know what's going to happen but the author throws in twist after twist and the ending was brilliant!! Character wise, their are only a few, but all were extremely well written and developed. James, the butler, was a typical English butler you see on the TV. The attorney was another awesome character. Such a nice person. Matthew is a money hungry man, who only wants his fathers vast fortune and will stop at nothing to get it. All of these, as well as the other characters, added up to a really enjoyable and thoroughly entertaining listen! In all, this was a quick, fast paced, entertaining and suspenseful read. Jake Urry was the perfect choice for this. He had an array of tones and cadences that really suited the feel of this story. He portrayed James and Lord Alfred perfectly with a really posh English voice and even did a perfect Matthew! He really brought this book to life and made it 10 times more enjoyable! I went looking for information on Jake Urry to see what else he has narrated and was shocked to see that he is so young!! I thought he was an older gentleman with the way he read this book!!! Brilliant narrator. 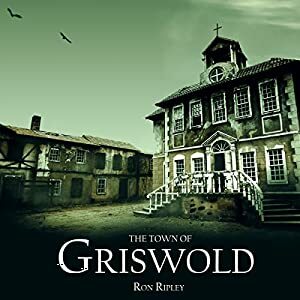 Audiobook Review: The Town of Griswold by Ron Ripley! Abel Latham is the scourge of Griswold, a deathly quiet town populated by the undead. Abel stalks the hapless victims who stumble onto his unholy ground before torturing them to death. The police rarely notice who's missing until two brothers disappear and the only clues are the boys' abandoned trucks and blood. Lots of blood. Though shaken by the gruesome details of Abel's depraved life and dreadful crimes, Shane knows his new job is to end Latham's reign of terror and his vengeance for blood. As Shane hunts his ghostly mark, he prays he won't be the next grisly artifact found in Griswold Forest! Here's me thinking that The Lighthouse was Shane's toughest job yet, but it's nothing compared to this!! Shane and his girlfriend decide to take a break by visiting an old New England town. They have heard the gossip, "The legend of Abel Latham" but decide to go see anyway. What starts out as a hike, soon becomes a matter of life and death! This has to be the absolute baddest ghost I've read so far!! Abel Latham enjoys torturing his victims and even keeps part of them in his "lair". He let's his victims go in the woods and then huts them down. When Shane comes to Griswald, he is confronted with the ghost of a boy and his dog. They explain who Abel is and that there is no escape. The town is not only home to Abel, but also to his many, many victims. In all, this was such a scary read. It gave me plenty of chills and spooked me a lot. The plot was well done and well written and I devoured the book. I loved how the author made a reference to his other series too, (which I really need to catch up on because it seems like something major happened in it!!) . Anyway, a suspenseful, creepy, fast paced and exciting read, this series is a must read!! I can't wait to see what this author comes up with next. Again, Thom Bowers brings this book to life. He really brings the atmosphere and spookiness alive and knows how to tell the story properly. I highly recommend you check him out. Cold Counsel by Chris Sharp Review! Audiobook Review: The Reader by MK Harkins! Audiobook Review:Tornworld by Melanie Karsak! Audiobook Review: Witchwood by Melanie Karsak! Audiobook Review: Midway by Melanie Karsak! Audiobook Review: Yeager's Mission by Scott Bell! Audiobook Review: Yeager's Law by Scott Bell! Audiobook Review: Dweller by Jeff Strand! Audiobook Review: Ghost Stories by Ron Ripley! Audiobook Review: The Lighthouse by Ron Ripley! Audiobook Review: Wormwood Dawn V by Edward Crae!